From spectacular events to intimate occasions, Yacht StarShip Cruises & Events is the ideal venue for any sized celebration. 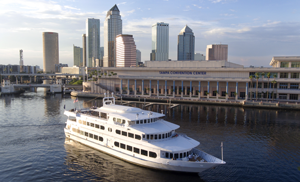 Our four luxury yachts provide unmatched premier cruises with one-of-a-kind views, outstanding dining options and award-winning service. 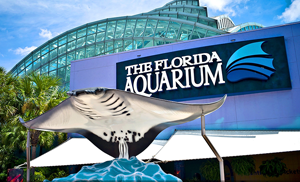 The Florida Aquarium enables you to get up close to many of Florida’s aquatic and terrestrial animals and ecosystems, as well as others from around the world. More than a must-see attraction, we are working to protect and restore our blue planet on many conservation fronts. 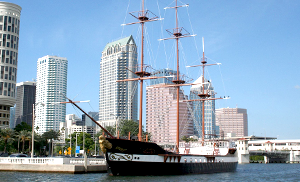 Welcome aboard the American Victory Ship and Museum, a non-profit 501(c)3 organization! 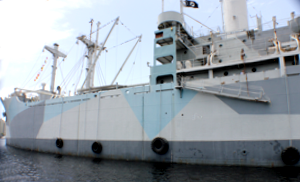 Come aboard and witness virtually the entire ship including cavernous three-level cargo holds and enjoy rare artifacts, exciting exhibits, uniforms, medals, documents and photographs. 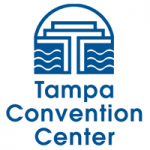 Exhibits include coverage of the Tampa Bay area’s first native inhabitants, Spanish conquistadors, and historical figures who shaped the area’s history, as well as a reproduction of a 1920s cigar store. 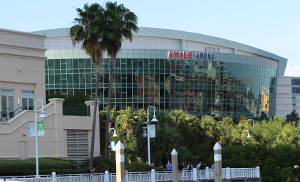 AMALIE Arena is Florida’s premier entertainment venue and home of the 2004 Stanley Cup champion Tampa Bay Lightning. 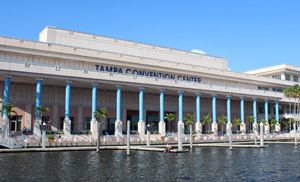 The Convention Center has a 200,000 square feet exhibit hall, a ballroom capable of accommodating over 2,000 guests, and 36 meeting rooms that can be adjusted to various sizes. 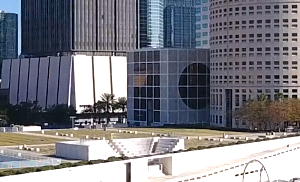 The facility hosts over 300 events per year. 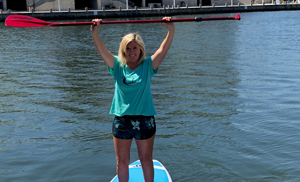 With a dedicated staff team, Tampa Bay SUP stands for one thing above all else: high quality exceptional service, tailored to your individual needs. Safety first and FUN! Several instructors are W.P.A. Certified. Bayshore Boulevard is a waterfront road on Hillsborough Bay in South Tampa, Florida and claims to be the longest continuous sidewalk in the world at 4.5 miles (7.2 km) long, is 10 feet (3.0 m) wide and is widely used for recreation and exercise. 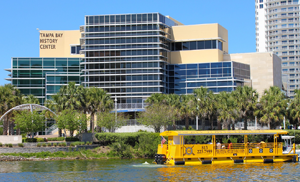 Since 1933, the Tampa Bay Hotel has been home to the Henry B. 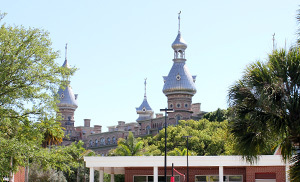 Plant Museum and The University of Tampa. 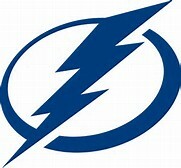 Its mission is to interpret the history and lifestyle of America’s Gilded Age and the life and significant contributions of Henry Bradley Plant to the development of Florida and Tampa Bay. 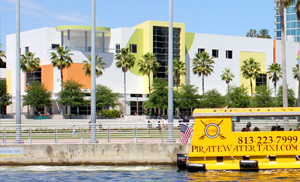 Play with purpose at the Glazer Children’s Museum, Tampa’s interactive, learning laboratory where children play, discover, and connect to the world around them to develop as lifelong learners and leaders. Welcome to wander. Welcome to wonder. It’s time to gaze, learn and imagine. Pack light, but bring all of your curiosity. The Museum is a growing collection of visual art and inspiration for our community. 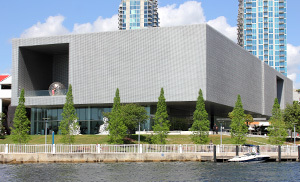 FMoPA collects, preserves, and exhibits historic and contemporary works by nationally and internationally known photographic artists. FMoPA also enriches the community by operating outreach programs to educate children and adults. 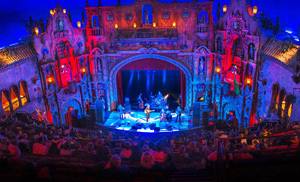 Built in 1926, visitors to the Theatre enjoy world-class entertainment under a realistic night sky with twinkling stars, in a romantic Mediterranean courtyard replete with old-world statues, flowers, and gargoyles. The Great Escape Room® is an award winning and exciting Sherlock-themed escape room adventure that has proven to be a favorite around town. After entering our intricately themed room with your team the door is locked behind you and then the fun begins… ! 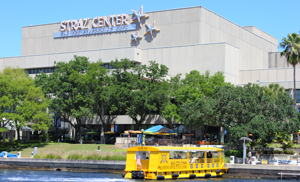 The David A. Straz, Jr. Center for the Performing Arts provides world class entertainment, ranging from lavish Broadway shows to orchestra and rock concerts. It is the largest facility of its kind in the Southeastern US.